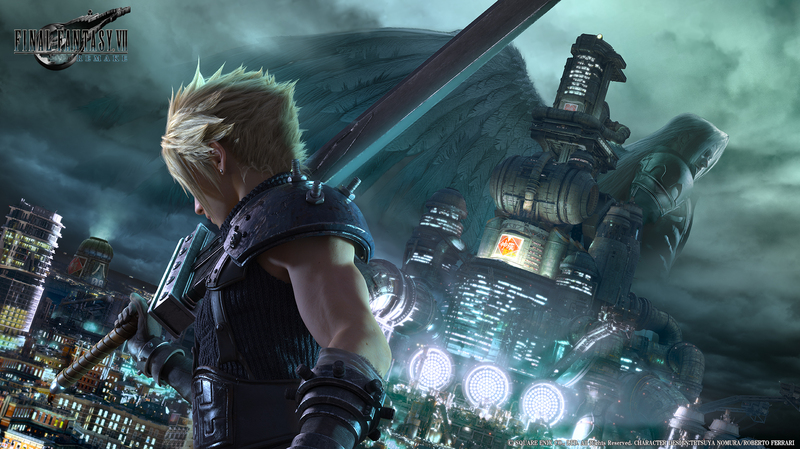 Square Enix has recently updated their official recruitment webpage for the new fiscal year, and a bit of new information has surfaced regarding one of the lead team members working on Final Fantasy VII Remake. Naoki Hamaguchi now holds the title of ‘Co-Director’ instead of ‘Development Leader’ for Final Fantasy VII Remake. This suggests that this was done due to the nature of his role on the project as well as his permanent placement within the 1st Development Division (formerly Business Division 1). He’s known for his work on Final Fantasy XII, the Final Fantasy XIII trilogy and Mobius Final Fantasy. A while back, game director Tetsuya Nomura compared Hamaguchi’s role to Tai Yasue of Business Division 3 (co-director for Kingdom Hearts III), commenting how their responsiblities on the diferent projects were similiar in nature. It’s final fantasy versus 13 drama all over again. How so? Nomura said Hamaguchi’s role is similar to Tai Yasue who co-directed Kingdom Hearts III, and that game turned out relatively well, the story was a slow burn for sure, but the Final Chapter leading up to the Final Boss was amazing, if FFVII is anything like the Last Chapter of KH3 I don’t think we have anything to worry about personally. Plus I’d rather not have Nomura have all the responsibility as lately he’s shown he can’t handle it all on his own. It looks the same as FFXV in the sense that at first, Nomura was director, then Hajime Tabata joined as co-director, then Nomura was removed from the project to make Tabata main director. And yet Yasue exists as co-director for a long time for KH and didn’t take control over KH. SQEX taking Nomura off XV was a decision they made out of necessity. It’s pretty clear that they’re not going to make that decision again given that the circumstances are completely different. This ^ I mean it could very well be what everyone fears, but KH3 was a step in the right direction imo, I haven’t enjoyed a SE game as much as I enjoyed KH3 since XII came out back on PS2…I just personally don’t think this news is enough to cause concern, we’ll see what news E3 brings us ( assuming that’s what they’re waiting for ) They DID says 2019 will be the year of 7, and although we’re only in April it’s still been pretty tame on news..